"The Comboist Manifesto: Combo Breakfast"
Tired of vague disquisitions on theoretical aspects of Magic: the Gathering? Too bad! Wait, don't go yet. What I actually meant was that next week will be too bad. I had an entire theorycrafting article ready for publication, but I'm putting that one off until next week. I reviewed The Comboist Manifesto so far, and, by my standards, it's surprisingly dry and technical. I realize that it's not nearly as dry nor as technical as some other articles about Magic, but those ones are supposed to be dry and technical. That's not what I'm trying to do here. The Comboist Manifesto is supposed to be fun, dammit. The article that I'd had next in my personal queue looked to be the driest and most technical entry so far. It isn't finished yet, so I may rectify that. Or perhaps not. This week, instead of getting an article that I started last year for my backlog, you get this hastily written diatribe on Magic history. What could be more fun than Magic history? Also, in my introduction I mentioned something about “examinations of historic combo decks” and that's exactly what this is. A question I've seen quite a bit lately concerns the subject of combo decks named after breakfast cereals. The Magic playerbase has grown so much since this tradition started that most players today weren't around to see the beginnings of the tradition for themselves. Even most veteran players probably don't remember the details. Although I was largely clueless as a player in the late 1990's, I actually have been lucky enough to see most of the important breakfast-named decks in action, including the one that started it all. A misconception I've seen a few times is that the breakfast-themed deck-naming tradition belongs to the Legacy format. In reality, the tradition predates the existence of Legacy by several years. Most of these decks were originally created for the Extended format. The confusion probably stems from the fact that Legacy historically borrowed deck concepts from Extended. Fruity Pebbles is a colorful breakfast cereal created by Post in 1971. The Magic deck named after the cereal defeats its opponents using the three-card combo of Enduring Renewal + Goblin Bombardment + Shield Sphere. I can distinctly remember that Enduring Renewal combos were all the rage in the 1990's. The card was infamous for its infinite combos, and I'm sure that as soon as Goblin Bombardment was printed, the card was identified for its synergy with Enduring Renewal. While Enduring Renewal combos were widely known back then, they did not have a major tournament presence, mainly being used in casual play. I don't know when this first started to change, but Fruity Pebbles decks rose to prominence in 1999, which was when I first encountered them. Sadly, the true origins of the deck's name, beyond the fact that it's an obvious reference to a breakfast cereal, appear to have been lost to history. By 1999, it was “Fruity Pebbles” and that was the name that stuck. I've seen speculation that the name might be inspired by the idea that repeatedly using Shield Sphere with Goblin Bombardment is like killing an opponents by throwing pebbles at them, but this may be a post hoc rationalization. Whatever the initial reasons were, it seems appropriate for an infinite combo deck to have a silly name anyway, and there was no way something stupid like “Enduring Bombardment” or “Renewal Bombardment” was going to catch on. Fruity Pebbles was played extensively in Extended tournaments with some variation. Here's the decklist that Gerald Budzinski used in the Los Angeles PTQ. Cocoa Pebbles is the chocolate-flavored companion to Fruity Pebbles. Once the name, Fruity Pebbles, was established for the archetype using Enduring Renewal and Goblin Bombardment with free creatures, christening the version that relied heavily on black cards “Cocoa Pebbles” was the next step, obviously. Some Fruity Pebbles decks had already been splashing black for Demonic Consultation. The innovation that made the transition from Fruity Pebbles to Cocoa Pebbles was the use of Necropotence to dig up combo components. And what an innovation that was. In hindsight, Necropotence might not seem like such a remarkable inclusion. It was actually a very big deal at the time. Necropotence today, when it is remembered, is remembered as an incredibly powerful card in general, the original cautionary tale about designing cards that allow life to be traded for card advantage. In the 1990's, though, Necropotence was a control powerhouse across multiple formats. Necropotence was at the heart of monoblack control, and decks that had Necropotence in them were “Necro” decks. Even if Necropotence is remembered these days as one of those broken, old, banned cards, in its early years as a control superstar, the card was not banned in any format. It took combo to get Necropotence banned, and it took Cocoa Pebbles to bring Necropotence to combo. I can see why Necropotence as a combo card would seem counterintuitive. In control, Necropotence can generate card advantage over several turns, emptying a hand to use spells against an opponent, refilling it, and using cards like Drain Life, Zuran Orb, and Ivory Tower to get back life for even more card advantage. For combo, one has to choose a number of cards to get with Necropotence, hope that it wasn't too many or too few, and wait a turn to actually do anything. Necropotence as a combo enabler just seems so inelegant. And using Necropotence to enable a combo with a red card and a white card? I'd never have thought of that. And yet, it worked. Cocoa Pebbles could win more quickly and more reliably than its fruity counterpart. Here's the version used by Tony Dobson in Pro Tour Chicago. Fruity and Cocoa Pebbles decks went all-in on Enduring Renewal for its infinite damage. Another alternative was developed that hybridized the infinite damage combo with the famous Rec-Sur engine and a toolbox suite of creatures. The deck's namesake is General Mills' famous breakfast cereal, Wheaties, which dates all the way back to 1924. Perhaps the name was inspired by the large amount of green cards (presumably bran flakes are associated with either green or white mana, right?) or maybe the deck's creators just wanted to use another cereal name. Here's Justin Gary's decklist. Like the Cocoa Pebbles decklist, this one is also from Pro Tour Chicago in 1999. The printing of Donate in Urza's Destiny created new combos based around giving one's opponent detrimental cards. The most powerful of these was Donate + Illusions of Grandeur. While it didn't have the infinite damage Fruity Pebbles offered, it did gain 20 life and stick an opponent with a cumulative upkeep and the eventual loss of 20 life, which is pretty strong. Monoblue decks relying on this combo did exist, but the most famous application was in a blue/black combo deck alongside Necropotence. This use of Necropotence was much more synergistic than in Cocoa Pebbles. Firstly, all cards involved were blue or black, which meant powerful disruption spells (Duress, Force of Will, etc.) could be used, while there was no need for white and red cards. Secondly, the kill combo was only two cards, rather than three. Thirdly, Illusions of Grandeur synergized directly with Necropotence through its life gain: one could pay a large amount of life to dig for combo components, then play Illusions and get it all back. Trix is a fruity breakfast cereal created by General Mills in 1955. The mascot for the cereal is a white rabbit. The art on Illusions of Grandeur depicts a white rabbit beneath an illusionary dragon. Since the deck was originally developed based on a deck named after a cereal, the Necropotence-Donate deck was called Trix. Here's Scott McCord's version of Trix from the 2000 Grand Prix Philadelphia. In my meager excuse for research for this article, I discovered claims that Aluren decks were once called “Raisin Bran.” I actually don't remember that at all, and I've seen Aluren decks. Everyone always just called such decks “Aluren.” The enchantment has always been at the core of whatever deck uses it. The cards used in Aluren decks have completely changed over the years, but they've been used alongside Aluren, so those decks were always just “Aluren.” Or so I thought. Apparently there was a time when Aluren decks went by “Raisin Bran.” Here's Patrick Chapin's Raisin Bran deck from Pro Tour New Orleans in 2001. I suppose I should explain how this deck worked, since most people have probably never played Aluren. The idea was to play like a control deck, then get Aluren out and use it to play creatures for free. Raven Familiar could be used to dig for more creatures. Once the deck had both Raven Familiar and Cavern Harpy, it could pay life to keep replaying both (using Cavern Harpy's gating to bounce the Familiar and using the Harpy's activated ability to bounce itself), digging for Man-o'-War and Spike Feeder to set up a loop in which Spike Feeder generates 2 life, Man-o'-War bounces it, then Cavern Harpy bounces Man-o'-War and itself in exchange for 1 life, for a net gain of 1 life per use of the loop. With infinite life, Cavern Harpy could then be used with Raven Familiar to dig for even more cards, and then a loop with Wall of Roots generating one mana, Man-o'-War bouncing Wall of Roots, and Cavern Harpy bouncing Man-o'-War could be used repeatedly for infinite mana and a lethal Stroke of Genius. In 2000, Paul Barclay created a deck that exploited synergy between Volrath's Shapeshifter and Survival of the Fittest. In addition to the toolbox Survival of the Fittest decks were already using, this deck could play Volrath's Shapeshifter, pitch Flowstone Hellion to Survival of the Fittest so that the Shapeshifter had haste, attack the Shapeshifter, stack eleven activations of Flowstone Hellion's ability (which would kill the Shapeshifter once they resolved), pitch Phyrexian Dreadnought to Survival of the Fittest turning Volrath's Shapeshifter into a Phyrexian Dreadnought, allow the Flowstone Hellion abilities to resolve turning Volrath's Shapeshifter into a 23/1 trampler, and win. Later versions of the deck used stronger packages to make the Volrath's Shapeshifter kill deadly, but the idea was the same. Paul Barclay named the deck Full English Breakfast "because it's full of fat and much nicer than boring old cereal." Here's his decklist. The sets in Onslaught block offered new options for three card infinite life gain combos. Technically, such a combo had been possible (and utilized in casual play) for years with Task Force, Nomads en-Kor, and Worthy Cause. As new sets added more options, the general combo became more viable, although the idea was still the same. The earliest mentions of the deck with the name “Life” that I've found have been from 2004. Back in 2003, I played against cleric-based decks that had some version of this combo as an option. The key distinction with Life is that the whole deck is built to achieve the infinite combo. 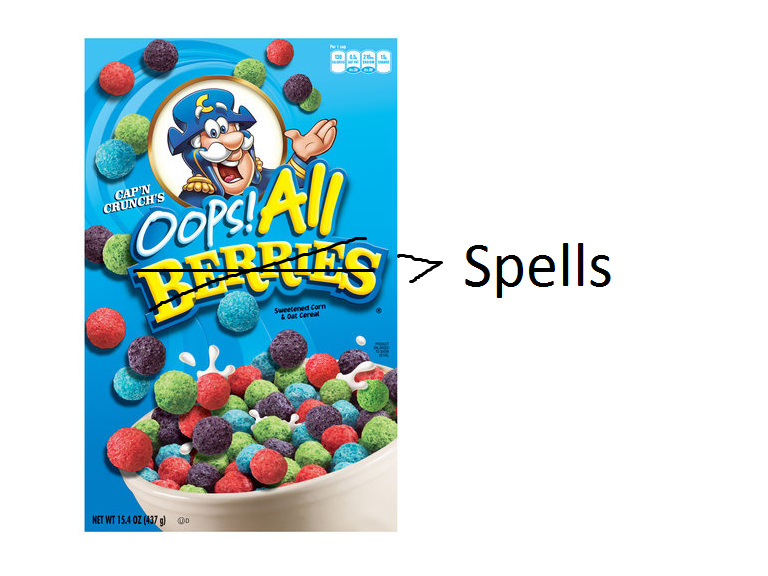 If there had never been other decks in Extended that were named after breakfast cereals, I probably wouldn't have made the connection: Life is a breakfast cereal created by the Quaker Oats Company in 1961, but it's also a pretty common word in the English language and a term that is used officially in Magic. Unlike the other breakfast deck names, Life doesn't seem strange on its own if one isn't aware of the cereal name tradition. Here's Ryuichi Arita's decklist from the Pro Tour in 2004. In 2005, the Life deck was modified with a bizarre innovation. The deck was already using Nomads en-Kor to repeatedly trigger Daru Spiritualist, which could then be sacrificed to Worthy Cause for arbitrarily large life gain. Cephalid Life threw in Cephalid Inkshrouder as an alternate kill condition: Nomads en-Kor could repeatedly target the Illusionist for endless self-milling. For most decks, putting one's entire library in one's graveyard is a sure way to lose, but the infamous Angry Hermit deck had already introduced most of the tools needed to make this work. The deck would flashback Krosan Reclamation to get Exhume, play Exhume to get Sutured Ghoul, pitch a couple Krosan Cloudscrapers to make Sutured Ghoul huge, and use Dragon Breath to have the Ghoul swing for lethal damage. Here's Shuhei Nakamura's list from Grand Prix Seattle in 2005. It wasn't long after the advent of Cephalid Life that players opted to focus the entire deck on the Cephalid Illusionist kill, dropping the “Life” from “Cephalid Life.” A deck can't just be named “Cephalid.” That would be stupid. Since it was still a combo deck and had evolved from cereal-named decks, the new deck became “Cephalid Breakfast.” At first Cephalid Life and Cephalid Breakfast coexisted in Extended, and weren't two sharply different decks, but a continuum of builds ranging from ones that shoved the Cephalid Illusionist combo into Life to ones that relied entirely on the Cephalid Illusionist combo. Eventually, Cephalid Life died out, and Cephalid Breakfast continued to exist in some capacity as a viable tournament deck. Even after it rotated out of Extended, Cephalid Breakfast lived on in the Legacy format. Cephalid Breakfast still shows up from time to time in Legacy, although it has never been a first tier deck in that format. Here's Jason Carr's deck from PTQ Knoxville in 2005. In 2006, an combo deck emerged in Extended based around artifacts and Second Sunrise. Helm of Awakening enabled the “_______ Egg” cards from Odyssey, specifically Darkwater Egg, Skycloud Egg, and Sungrass Egg, and other card-drawing artifacts (Chromatic Sphere, Chromatic Star, Conjurer's Bauble) to be played for free. With Lotus Bloom and Archaeological Dig, mana could be generated. All of these cards would then be brought back with Second Sunrise, which would itself be recycled with Conjurer's Bauble and drawn with the Egg cards. Pyrite Spellbomb hopping on for the ride with each loop served as a kill condition. Technically, the name for this archetype works independently from the rest of the breakfast-theme tradition for naming combo dekcs: it has artifacts that are literally eggs and the card that brings them back has the sun in its name. While “Sunny Side Up” was the most prevalent name, I also saw this sort of deck referred to with the terser moniker “Eggs” (which still fits into the tradition), “Second Breakfast” (which also fits, since it has the word “breakfast in it), and later, when the deck was ported into Legacy, “Second Legacy” (which is just stupid). Here's Bastien Perez's decklist from Worlds in 2006. Egg-based combo decks didn't completely die out once the archetype left Extended. The concept has been used in Legacy, sometimes even without Second Sunrise. I like this list by Michael Zlotnikovs, used in a Legacy event in 2009. In the Modern format, the decks that are the spiritual descendents of Egg-based combo decks are often called “Eggs” despite not being allowed to have any freaking eggs in them (they were printed in Odyssey, which is not a legal set for usage in Modern). Here's an Eggs deck that Stanislav Cifka used in the Pro Tour in 2012. When I was a new player, original mulligan rule was still official. Players had the option to mulligan an opening hand that contained either all lands or no lands, and would get to draw a new hand, which could not be mulliganed. I remember asking a manager at my local game store about the possibility of a deck with no lands in it, and how such a deck would always have the option to mulligan. The response was that such a deck would lose anyway, on account of not having lands. Even back then, I knew this was not completely accurate: I'd seen the original Moxen, even if I hadn't played with them. The years went on, the Paris mulligan became the new standard, that store closed, and with each new set that was released, I watched for cards that could enable mana production without lands. I watched and I waited. Goblin Charbelcher came close, but Belcher decks still used two lands, with Land Grant to find them. Eventually, Vintage Belcher decks evolved to go without lands, but those decks had a lot of broken cards to work with. In Legacy, Belcher decks still use at least one land (usually it's one Taiga that is hopefully fetched with Land Grant). However, Gatecrash gave Legacy the cards it needed for a truly land-free deck: Balustrade Spy and Undercity Informer. This deck aims to get four mana without any help from lands and use one of the aforementioned Gatecrash rogues. This causes total self-milling (with no lands in the library, the whole thing goes to the graveyard), allowing Narcomoebas to go to the battlefield. The deck wins by sacrificing three creatures (Narcomoebas) to flashback Dread Return on Angel of Glory's Rise, which itself brings back Laboratory Maniac and Azami, Lady of Scrolls. This is a bit fragile as combo decks go, but it can protect itself, even after using a rogue, with Cabal Therapy. Also, it's a very fast deck, and can use its sideboard to transform into a Belcher deck. Here's Eugeni Sánchez's list from a Legacy tournament in 2013.